As demand for power grows by leaps and bounds, a UAE official has underlined the role that the private sector could play. Dr Matar Al Neyadi, undersecretary at the UAE Ministry of Energy, said: “The UAE has seen double-digit increase in the demand for electricity in the past few years and is expected to continue seeing rapid growth in the coming years. He was speaking at the two-day third Annual Global Independent Water and Power Projects (IWPP) Summit in Dubai that featured government authorities, policy-makers, regulatory authorities, utilities companies, financial institutions and technology leaders and was supported by the Government of Dubai, the UAE Ministry of Energy, Dubai Electricity and Water Authority (Dewa) and Utico Middle East, the region’s largest private full-service utilities provider. Saeed Mohammed Al Tayer, managing director and CEO of Dewa, said: “Dewa encourages partnerships in the energy sector based on the Independent Power Producer (IPP) model such as in the Mohammed bin Rashid Al Maktoum Solar Park and the Hassyan Clean-Coal Power Plant. Meanwhile, an expert has said a common energy market for the GCC that is planned to be fully operational within five years will save member states huge sums. The GCC Interconnection Authority (GCCIA) board of directors chairman Dr Matar Neyadi said an estimated $180 million would be saved ever year in operational costs alone once the market was fully functional, said a report in the Gulf Daily News (GDN), our sister publication. He was speaking on the sidelines of the GCC Power 2014 conference held at the Gulf Hotel’s Gulf Convention Centre in Bahrain. “The GCCIA is considered one of the leading strategic projects in the region,” he said. “Its focus now is on increasing economic benefits to member states by establishing a GCC-wide electricity market that will allow them to make the best use of energy sources and conserve fossil fuels. 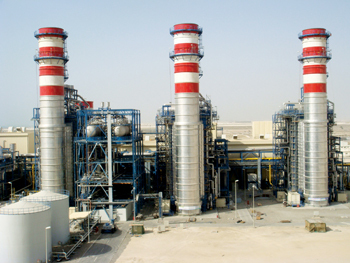 Meanwhile, Bahrain’s Minister of State for Electricity and Water Affairs Dr Abdulhussain Mirza said that the nascent GCC-wide power grid was helping to cut down on the kind of blackouts that were once regular in Bahrain. “We established the GCCIA, also known as the GCC power grid, in July 2009 and 1,100 incidents of electricity cuts have since been avoided across the six member nations, because of the availability of this network,” he said.